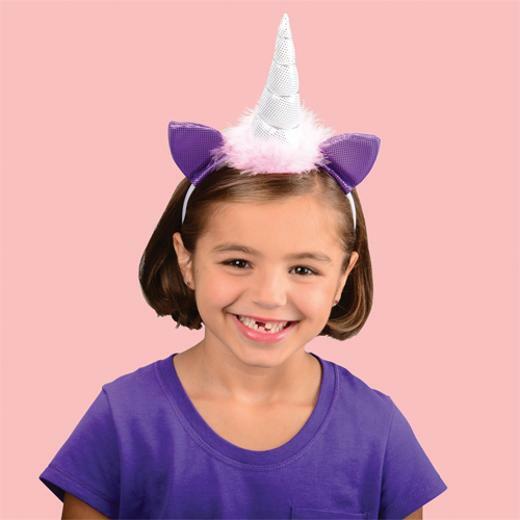 Bring home the magic with this sparkling unicorn headband. A great accessory for pretend play, this child sized headband is perfect for "transforming" into the mythical unicorn. Kids will love the purple ears, pink hair and silver horn. A great party favor for themed birthdays! L: 8.35 in. W: 1.85 in. H: 8.25 in.